Nicholas Weidenbach, 12, has only been bowling for one year but has already accomplished a great deal on the lanes. 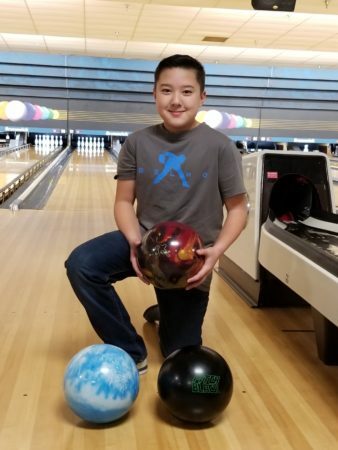 He started bowling in October 2017 when he joined a youth bowling league in Michigan. At first, it was just something to do. After a couple of weeks he was watching another youth bowler compete and decided to try bowling with two-hands. 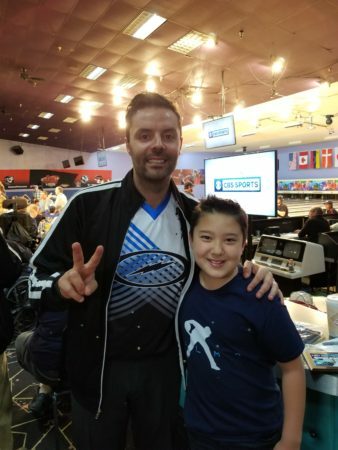 An avid YouTube fan, he soon discovered videos of Jason Belmonte and found his new favorite athlete. He started working on the basics and soon was reaching 100 games regularly. He continued to practice all summer long. When a new season began he was determined to show his friends how much he had improved. His parents decided to sign him up for a local scholarship event and he won the very first one he entered. Excited and determined to continue improving on the lanes, Nicholas didn’t stop there. Of the 9 scholarship events he has entered in the last 6 months he has won 7 and placed second in the other two. His current average in league is 139 and he has bowled several games above 200. Drive, Pitch Black, Match-Up Black Pearl, Storm Ice. He is also super excited for February 22nd when his birthday present (a pre-ordered Fever Pitch) comes in!! What do you do when you’re not bowling? What do you love most about bowling?